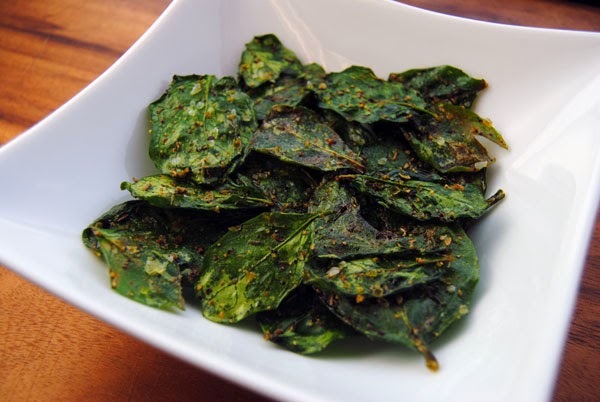 You'd be surprised how amazingly good spinach can be when you lightly season it and dry it in a Weston Dehydrator. 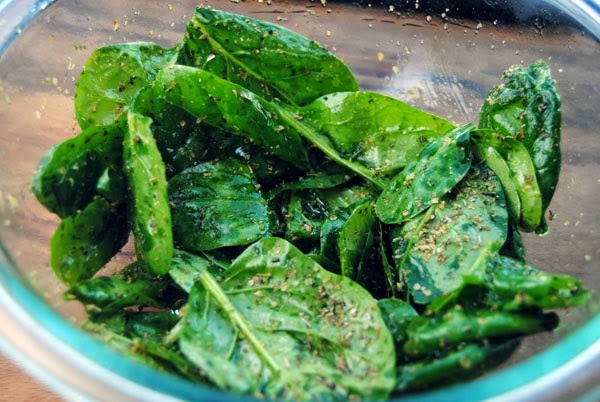 Toss spinach leaves with olive oil, then sprinkle with seasonings. Toss again to coat. 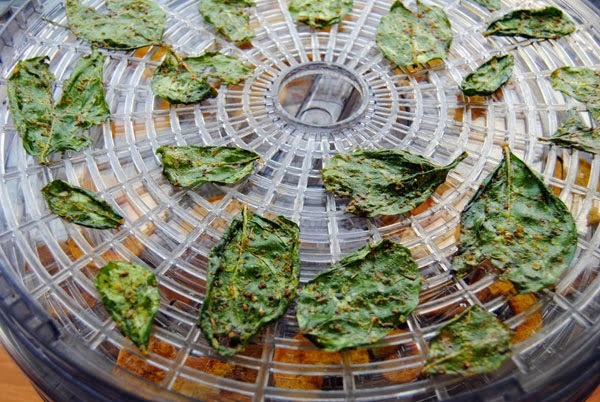 Dehydrate in a Weston Dehydrator for about 3 hours, or until crispy.